Now days many companies are entering into smartphone market which is already crowded with variety of devices. Especially in country like India which is seen as worlds large telecom market all are setting their plans for making through here. There is many new Chinese companies entered into Indian market for their growth. 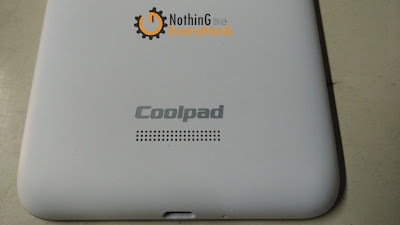 This article is to show you first impression of newly launched device by Chinese company named Coolpad. They have launched their device termed as Coolpad Note 3. 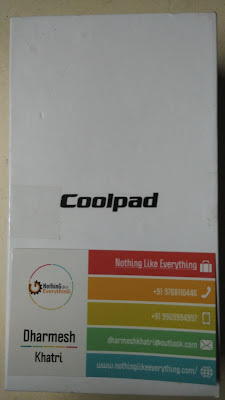 We have received Coolpad Note 3 device on it's launch in Mumbai. 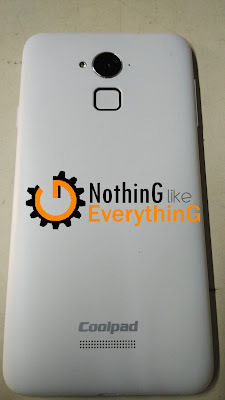 Device seems impressive in it's class. Since this device is provide best config in it's price range so when we compare it with any other device we always talk in sense of price. Let's move on to the review now. As you can see the device will come in compact box. 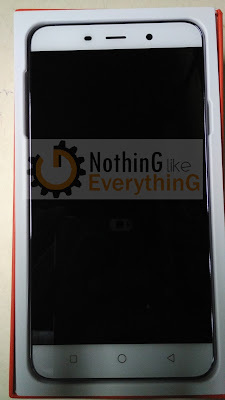 After opening the box you will find Coolpad Note 3 having shiny glass quoted on the front surface of smartphone. First impression device looks premium and easy to held. But later when we started using this device, it's glass quoting make it very difficult to handle. Since glass in the front surface make it slippery from your hand and other curved surfaces as well. After removing the device you will find microUSB to USB power cable, wall adapter charger and in-ear earphone of decent quality. Check image below. Note : Click on Images view them in full size. 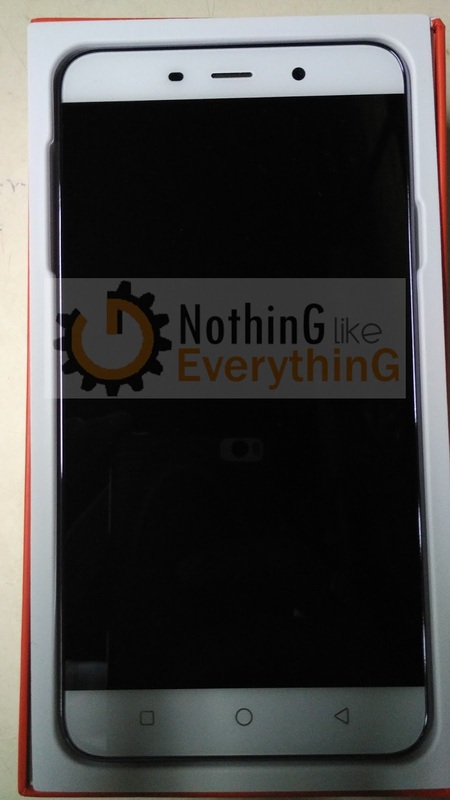 As I have already mention earlier device have Glass quoted in the front side. 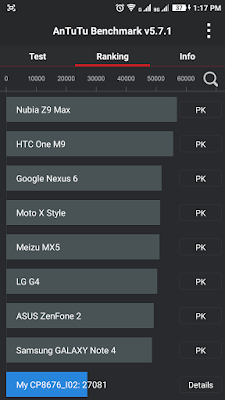 Which make device very smooth to handle. Design of the device is very impressive. Coolpad Note 3 have 5.5 inches IPS LCD screen providing HD display. The screen is 71.7% screen-to-body ratio. Basal of the screen are little thick. If we start from the very top of the devie it have 3.5 mm audio jack. In front side very top it have Notification LED indicator (which works only while received a text message and while charging the device at least in out case). This phone provide Red and Green notification LED. Beside that LED notification there is (moving right side) light and proximity sensor. Going further there is receiver Mic and beside that there is 5 MP front shooter. As you can see in above image. At the bottom of the device we have you can see 3 capacitive buttons. On the core of the device there is metallic silver frame provide the device nice, shiny and attractive look. Volume rocker are on left hand side and lock button is at right side of the device. 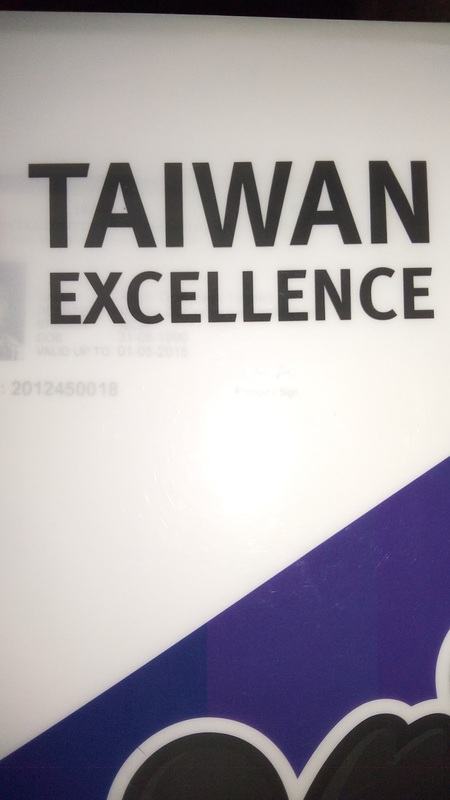 Back cover is made of plastic with mat finish. This material will easy to held and provide good grip in your hand and other surfaces. On back side if we start from top we have rear camera with LED flash light. On the other side of the camera there is noise cancellation Mic is placed. Blow that we have fingerprint senor. I must say here fingerprint sensor is very effective and responsive it can recognize 360 degree view of your fingerprint and help you to unlock the device. Device get unlocked spontaneously but acceptance ration is 75-80 while using the device. You can not only unlock the device using this sensor but also assign specific app to your other figures. For example I use my first figure to unlock the device and second for music player, third for camera and so on. 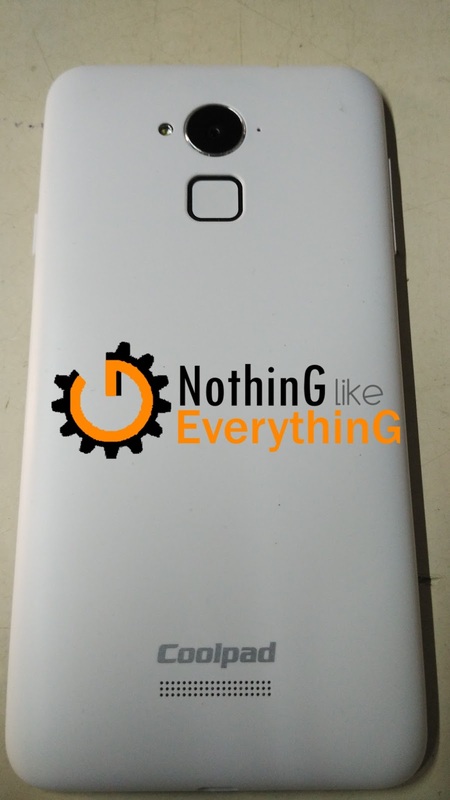 Well at the button of the device you can see Coolpad logo and speakers. Speakers produce loud and clear music and volume is also very decent you can hear it in crowded place. Well at the very bottom there charging port and Mic is placed. Overall design and look very attractive and effective. Fingerprint sensor is also placed at very convenient place for user to unlock the device. Coolpad Note 3 comes with dual SIM standby, both SIM supporting 4G like Mi 4i. Coolpad Note 3 comes with latest version of Android Lollipop with Cool UI 6 on top of it. CoolUI is more or less same as Mi Ui. It also provide optimization for UI. This device have 5.5 inches IPS LCD screen with HD display. Display is producing good color but when you lower down the brightness screen looks bit dull, but when you increase a bit it colors look good. 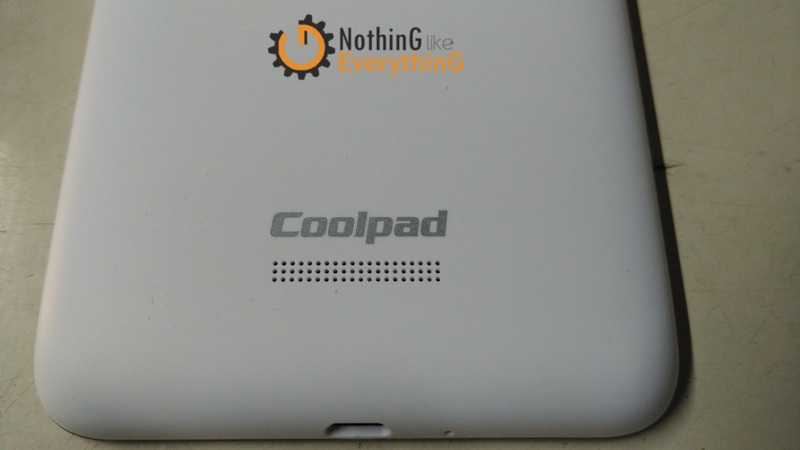 Coolpad Note 3 device comes with Octa-core 1.3 GHz Mediatek MT6753 processor with Mali-T720MP3 GPU chip-set. 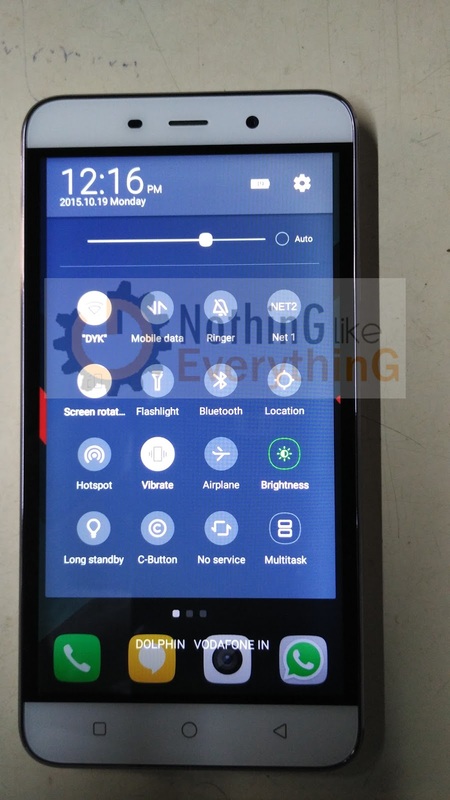 This android smartphone also equipped with 3 GB RAM memory and 16 GB internal memory (user available around 12GB). You also have an option for external memory card slot upto 64 GB. This device have 3000 mAh battery that can be used for entire day with 3G and Wi-Fi both. Let's get look at some benchmarks for the same. This is the Antutu benchmark score stand at 27081 shown at the button in Blue color. This device performs well if you consider it's price range. This device have inbuilt multitasking feature which was provided by Samsung earlier in Note 3 device. It will divide screen in half and show you multiple windows for switching between applications. 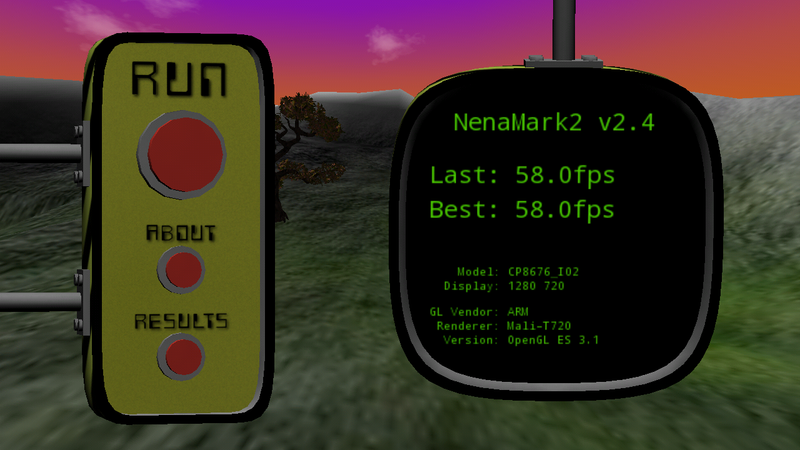 If we move on to graphical testing where FPS are more important we thingk about Nenamark 2 score. 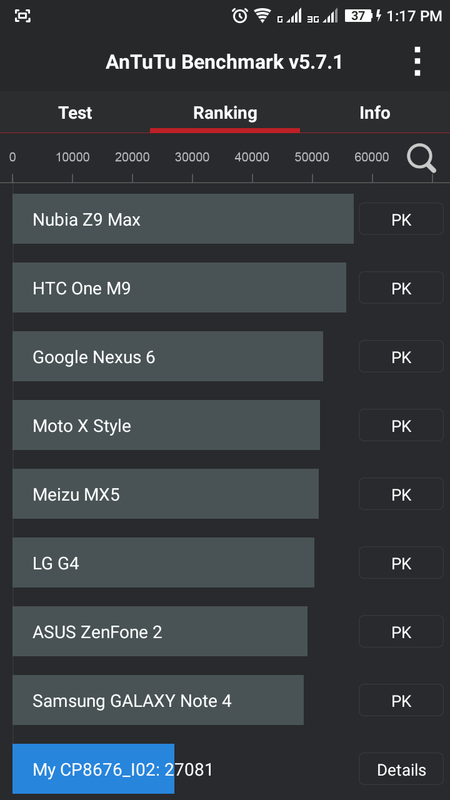 Here is Nenamark 2 score for Coolpad Note 3. This device provide great result on Nenamark score as well. It can play games which can require upto 58 fps. Not only on this neenamark score but this device do perform great in realtime gaming. We have tried basic game like Subway Surfer and Temple run 2 both if them run smoothly without any lag. On the other hand we have also tried playing Need For Speed No Limit AKA NFS NL which also runs laglessly. But during the intense gaming like half hour device get heat-up on back side near camera and Fingerprint sensor region. Battery is also fairly optimise's for gaming also. Today before purchasing any phone you will ask for how effective is camera of that phone. 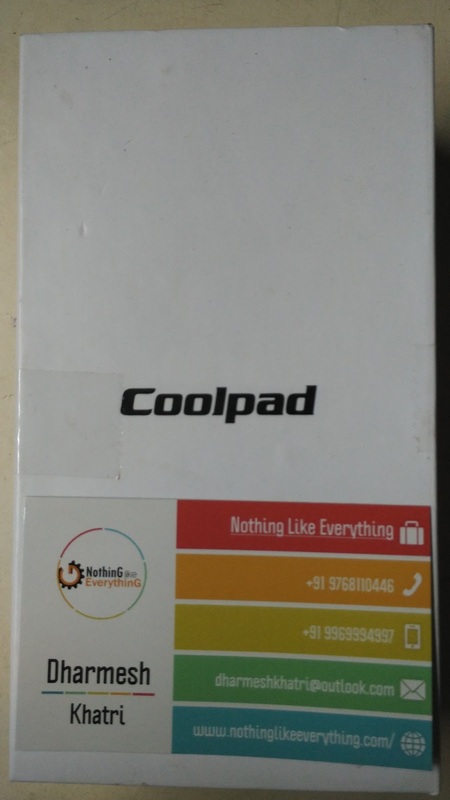 As per specification Coolpad have 13 MP rear camera and 5MP front camera. Back camera does some really decent job for capturing image. But camera take more time to get stabilizes. Also in realtime camera look more brighter and provide more sharpness so image or video looks daisy and outlined. But after capturing image or recording video you can get good images. 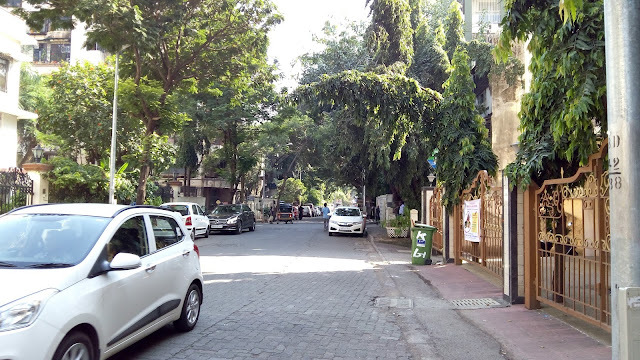 In short camera need more improvement. You will also get basic modes like Auto, Face Beauty, Dimlight Shots, Smile Shot, Guesture shot, Prnorma shot and HDR. Here are camera samples below. Note : Click on Image for Full View. 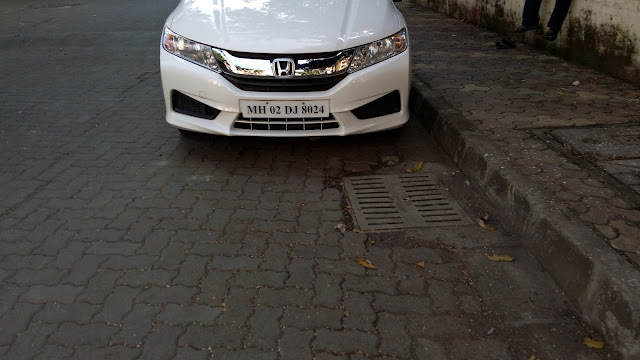 This image is clicked in roadside in daylight. Image take little time to get stabilized and then clarity is Good. Well we have seen day light images now its time to check out low light images. Check below images. This image has been taken in dark room. But this it was close shot. Still clarity of image is good. Color production of image is good and clear. This image was taken in Temple there was Dimlight shot. It was really good thing for producing this good color production. Connectivity is more important this days without which all other feature will be like nothing. 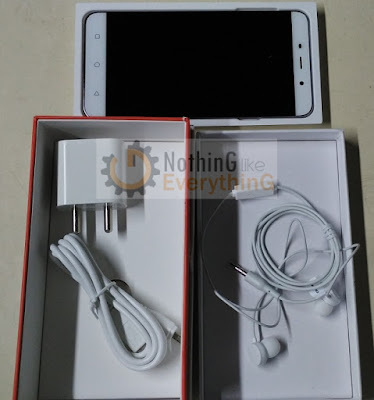 Coolpad Note 3 have all connectivity. It support 2G, 3G, and 4G LTE in both the SIM cards. It also equipped with Wi-Fi 802.11 b/g/n, hotspot, Bluetooth 4.0 ADP. Coolpad Note 3 also equipped with GPS and FM radio feature too. This device as compared to price range you will not find any device providing all sensors including Fingerprint sensor at this INR 8999/- price range. 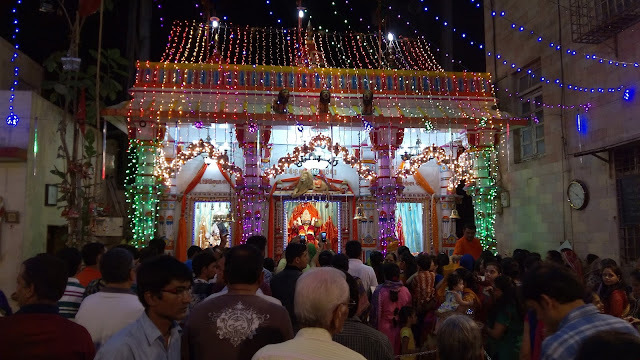 On the part of camera it provide good quality photos just with little improvement. If you talk about performance and optimization of RAM memory this device perform very well. It have 3GB RAM and 3000 mAh battery to provide full day battery back for your smartphone. So if you are heavy internet user with various social platforms this device is for you. Apart from that if you talk about gaming it also provide good gaming performance with optimized battery life. Only thing intense gaming cause device heatup. So this is all about Coolpad Note 3. If you have any question or query to ask you can comment below we will get back to it soon. Thank you fro reading. Stay tuned for more.